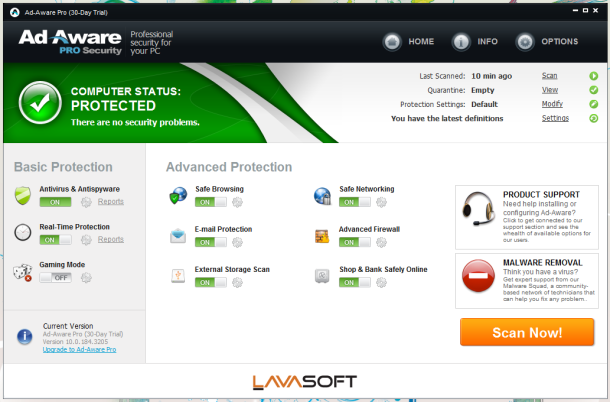 Ad-Aware Free Antivirus + provides core protection against Internet threats. Featuring real-time anti-malware protection, advanced Genocode detection technology, rootkit protection, a scheduler, the product gives you the power to protect yourself online. 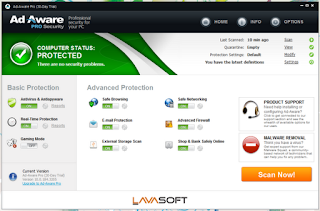 Ad-Aware Free Antivirus + is a complete malware protection that now combines Lavasoft's pioneer technology for anti-spyware with traditional anti-virus protection. Enhanced performance and redesigned user interface.